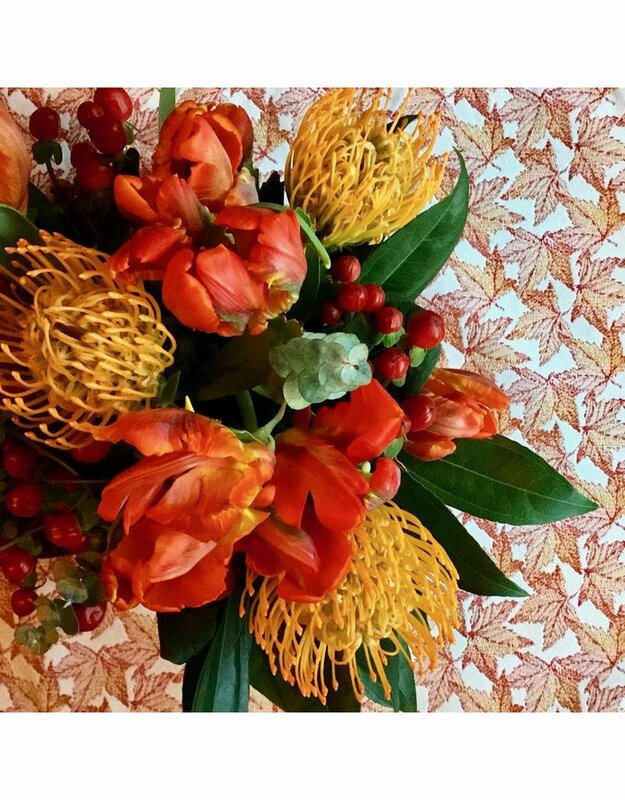 An Amelie Michel original design. 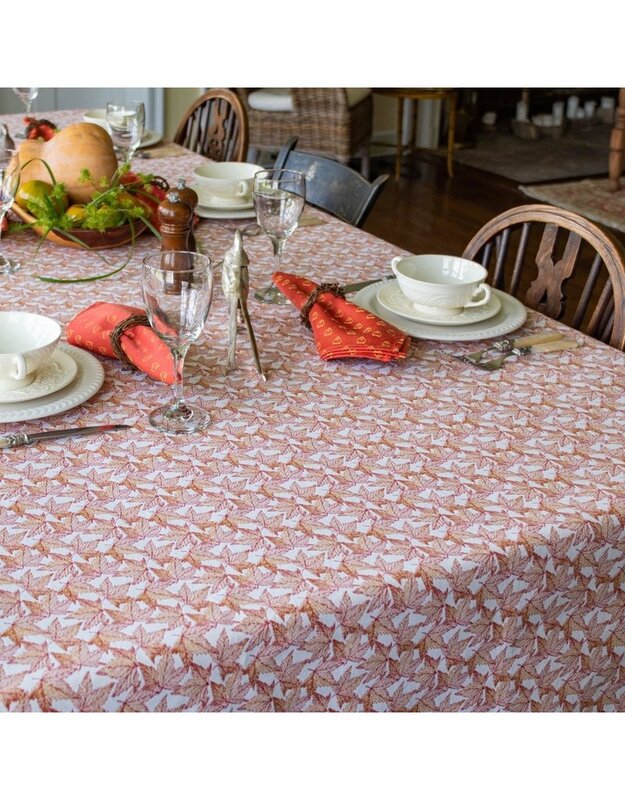 This stunning fabric is woven exclusively for us by a family-run French mill specializing in luxurious, high-quality jacquards. 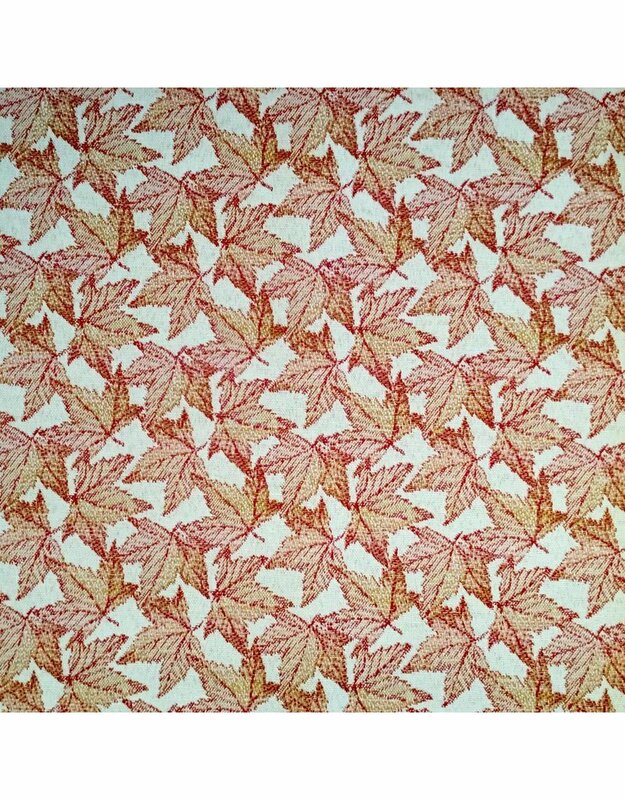 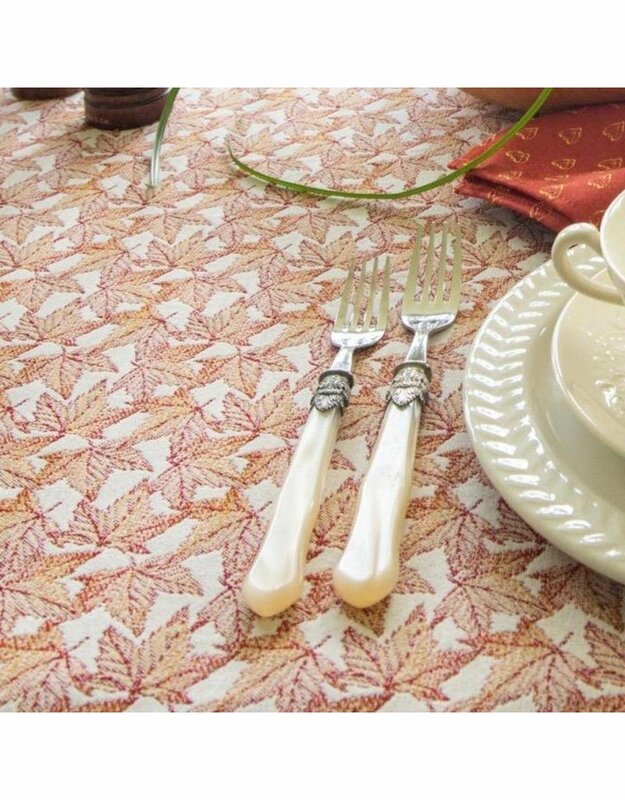 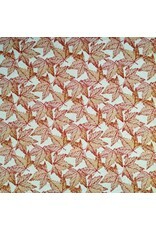 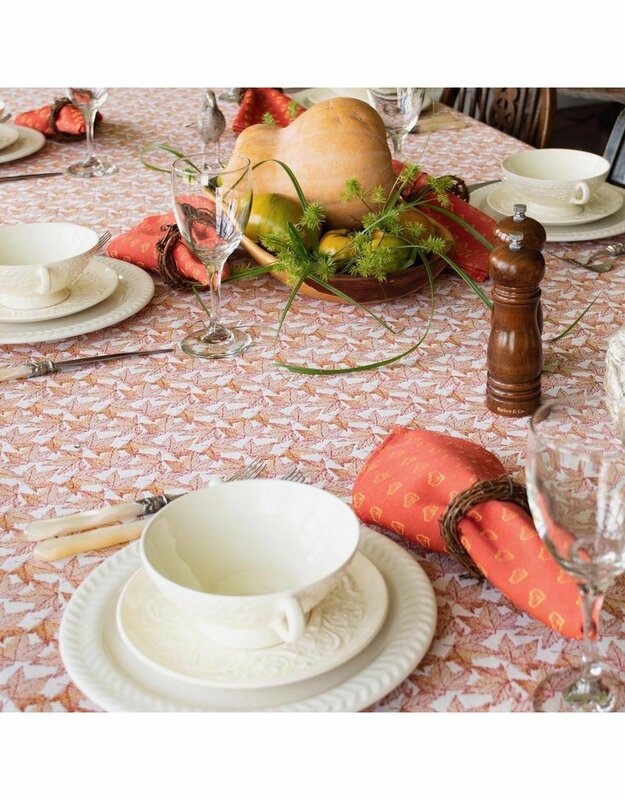 The Autumn Leaves pattern features intricately woven maple leaves scattered across a soft ivory background. 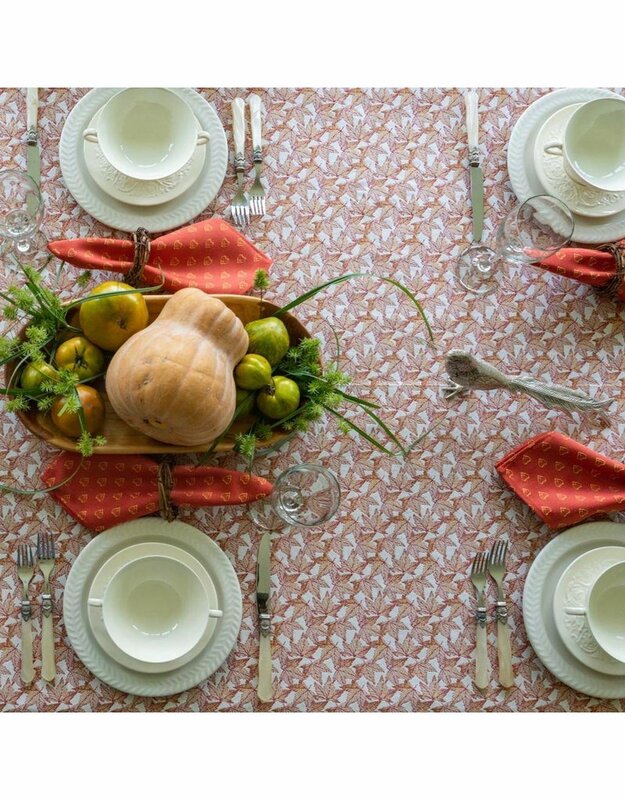 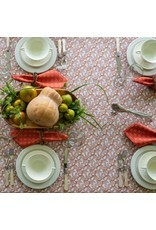 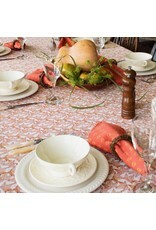 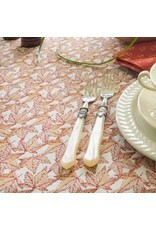 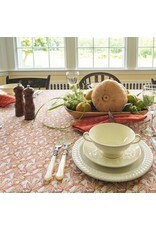 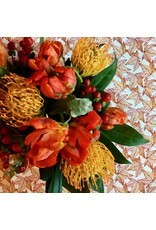 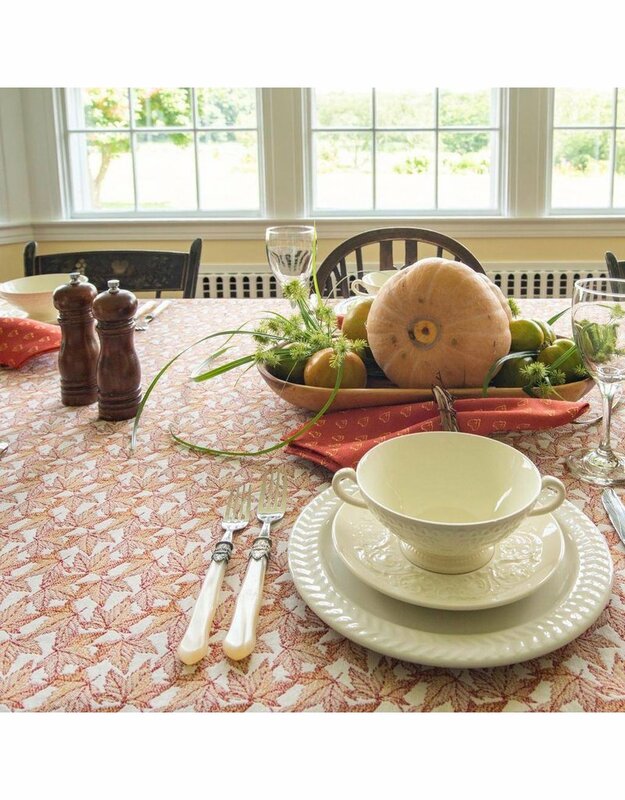 A truly versatile tablecloth - elegant enough for special entertaining, yet durable enough for everyday use. 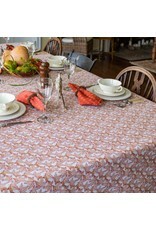 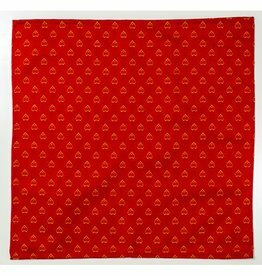 The fabric washes beautifully, is stain resistant, and requires no ironing.